Each year on Earth Day we pause to acknowledge and appreciate the majesty of nature and the gravity of the problems threatening it. 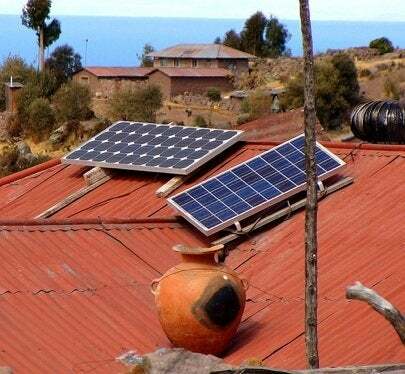 As individuals, we ask ourselves if we’re doing all that we can to mitigate the global environmental crisis. 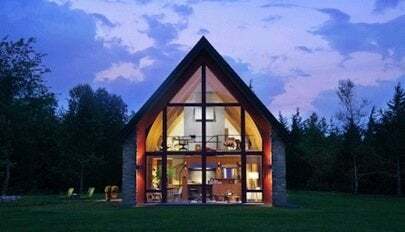 In that same spirit of inquiry, we at BobVila.com look back on the very best blog posts, features, slideshows, and videos from the last year about all subjects green—energy conservation, recycling and reuse, and sustainable architecture. Monica Michael Willis addresses the water crisis in 5 Ways to Save H20 at Home, detailing several simple ways that everyday homeowners and renters can help protect the world’s fragile water supply. So many ecologically kind choices are kind on your wallet too, and that’s a win-win we celebrate in 20 Ways to Go Green Today. 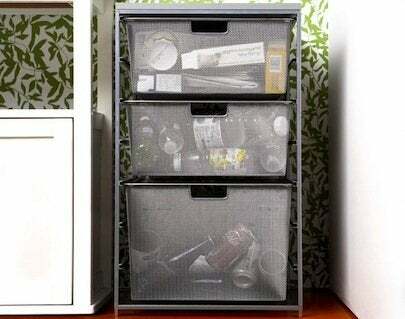 Mesh unit provides a small-space solution for storing and organizing recyclables. Chris Gardner highlights the everyday practical necessity of organizing and storing recyclables in 7 DIY Recycling Centers for Small Spaces. LuAnn Brandsen writes on the green virtues of architectural salvage. A companion piece, Great Places to Buy Architectural Salvage has proved to be a great fan favorite. In the slideshow Aviation Aesthetics Jane Dagmi explores the phenomenon of reusing disused aircraft in residential applications, while more recently, Dagmi helped us better understand cradle-to-cradle philosophy through reporting on the Loop Jacket, clothing made from the house wrap material Tyvek. The Hudson Passive Project is New York State's first Certified Passive House. The search for ever-more-efficient modes of building has brought us to a tremendously exciting era of experimentation and creativity in architecture. The New American Home, a collaboration between the National Association of Home Builders and Builder magazine, reflects the priorities of homeowners today and the latest trends in home design. We’ve given in-depth coverage to at least two other eco-friendly, design-forward homes. The Hudson Passive Project is New York State’s first Certified Passive House, and 2020 Alton Road is on track to become the first LEED Platinum-certified home in Miami Beach, FL. For more, watch the Building Green web series, with Bob Vila investigating the principles and technologies at the forefront of contemporary construction. Happy Earth Day, everyone!